Tokyo, October 25, 2017 – Subaru Corporation today unveiled the Subaru VIZIV Performance Concept* at the 45th Tokyo Motor Show 2017. The Subaru VIZIV series of concept models embodies the brand’s vision for the future of making cars that deliver Enjoyment and Peace of Mind to its customers. 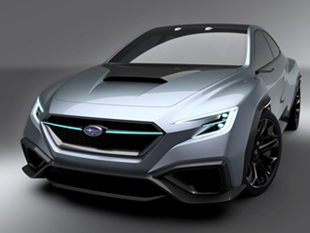 Packaged in the first sedan body of the series, the Subaru VIZIV Performance Concept draws on iconic models symbolizing superior Subaru driving performance and the Symmetrical AWD layout powered by a boxer engine honed over more than five decades of development. In sports sedan form, it conveys the concept of driving enjoyment that Subaru will continue to pursue. In anticipation of widespread future deployment of automated driving technologies, advanced driver assist functions combining the next-generation EyeSight system with other devices have been installed in a sedan body encouraging active enjoyment of driving, to express Subaru’s distinctive worldview of driving with Enjoyment and Peace of Mind. To express the distinctive enjoyment of driving a Subaru, the VIZIV Performance Concept draws on previous models symbolizing the Subaru driving experience: the Legacy, which defined Subaru as a drivers’ car, the Impreza, which took the World Rally Championship by storm, and the WRX, which still dominates motor racing around the world. Based on Subaru’s shared “Dynamic × Solid” design philosophy, this next-generation sports sedan encapsulates driving enjoyment. Driving performance is highlighted by a rigid, forward-thrusting body with low center of gravity, the dynamic flare of the fenders, the use of carbon fiber parts in the bumpers, fenders, and roof, and the bold glimpse of the exhaust in the rear bumper. The three-dimensional form of the front grill flanked by hawkeye headlights hints at the boxer engine they conceal, and muscular fenders on all four corners of the body testify to the reliability of the Symmetrical AWD. 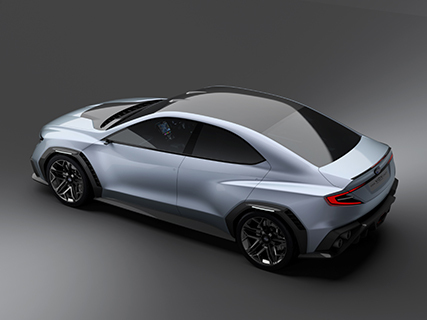 Maintaining consistency with previous Subaru concept cars and production models, the VIZIV Performance Concept embodies the Subaru powertrain, which is part of the brand’s identity. 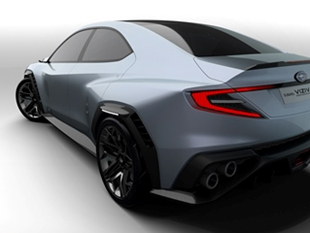 Subaru has teamed advanced driver-assist technologies scheduled for launch around 2020 with the high performance offered by the boxer engine and Symmetrical AWD to create a sports sedan symbolizing the Enjoyment and Peace of Mind to be expected of its cars. By also incorporating further enhancements to EyeSight driver-assist technology, radar, and highly accurate GPS and navigation systems, Subaru continues to pursue ultimate levels of safety in the aim of eliminating automobile accidents.